Audrey recently graduated from the Strate design school in Paris, and before that she studied business at the Grenoble School of Management. She met Patrick and Guewen at their now pretty productive Design Thinking Academy (that’s where Chloé came from too). The path to becoming a designer involved sharpening up her design methodology by practicing on student projects, and writing a dissertation on the implementation of Design Thinking in companies. She’s worked on innovation products in the telecommunications sector with Orange, in the luxury sector with Dior, and with her favourite topic: healthcare. Ask her to show you her work with the Institut du Cerveau et de la Moëlle Épinière (Institute of the Brain and Spinal Marrow). 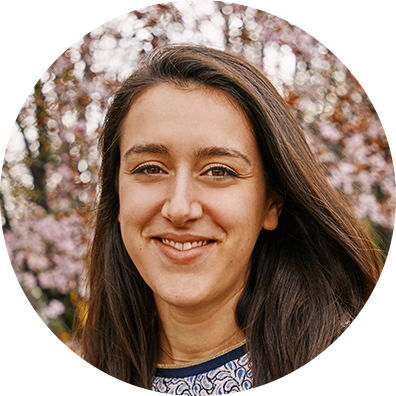 Audrey has recently done medical research work with Design Science in Philadelphia, where she’s developed User Research skills and data visualisation methods, where the data is particularly complex. When the working day is over, you’ll find Audrey splitting her sides over American standup. But her pencils and sketchpad are never far to illustrate the absurdity of everyday life.